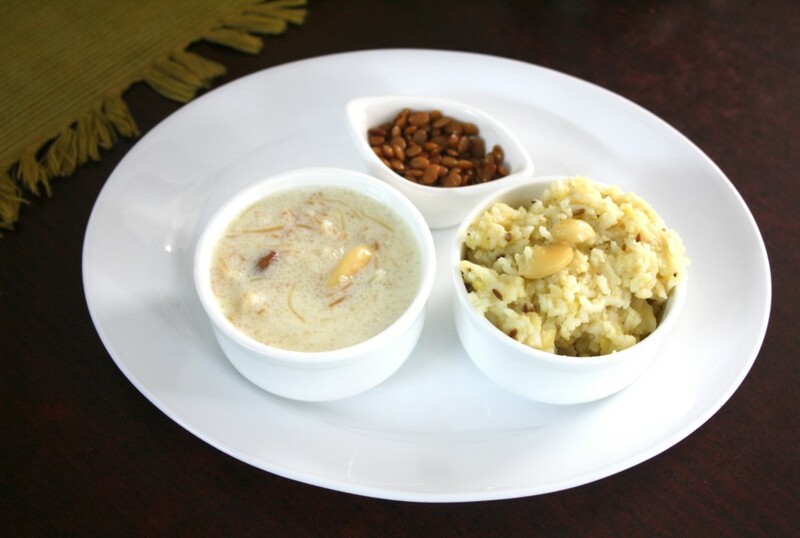 For the sixth day of Navratri we have to make a payasam. I decided to make something with Jaggary and wheat. I had already made the versions I knew and I wasn’t exactly having enough time to think of something new on those lines. 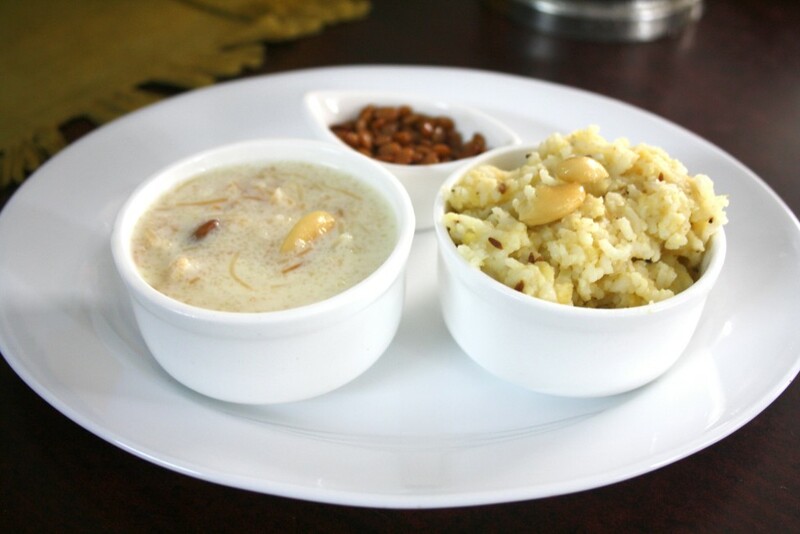 Since I have already have Semiya Payasam and a variety of Rava Payasam, I thought I must combine these two to get another version in place. If only I got my thinking ahead of time and did this the right way. I knew Rava soaks up milk and the semiya/ Vermicelli doesn’t get cooked up properly if sugar is added before. Well it was a tricky situation and I was running out of time. So I did the easiest possible way. Sad that it ended up soaking up all the milk I added! 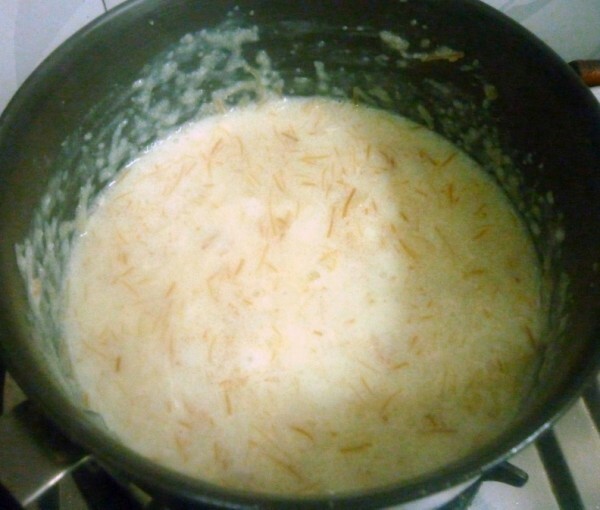 Anyway here is a delicious Payasam still, if only you take care to add the things at the right time! After a hiatus of three weeks, I am back to work and I didn’t want either things to be undone because of this. It’s a holiday for kids and they were up early, on regular days you would find us having tough time waking up the boys. But on holidays, they are up as early as they can. They even had their games all planned up and were up to it. Though I planned on a different prasadam, I ended up making this as I couldn’t find the Wheat Rava that I was supposed to use. 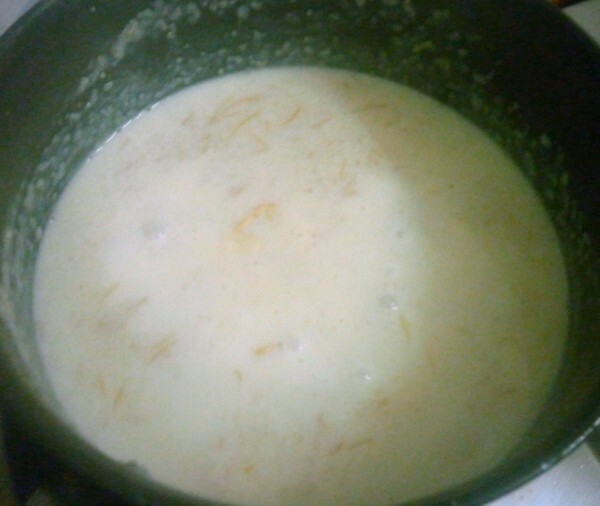 Anyway I knew this payasam would turn out great as well. My only concern was not finding the right cookery to display this. Imagine all white plates, bowls and white dishes! Gosh I was going crazy thinking what contrast I should put in place, but none came to mind. So it’s white you are going to see today. Heat a non stick pan with ghee, roast the nuts and keep it aside. Roast the semiya and then rava. Add milk and bring to boil. 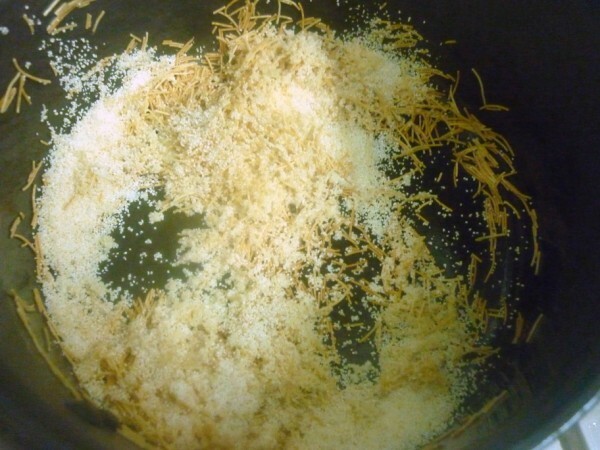 Simmer for 5 – 7 mins. Add water and bring to boil. When rava and semiya is cooked, add sugar and bring to boil. Finally add the roasted nuts. If you add Rava much later, it won’t soak up all the milk. 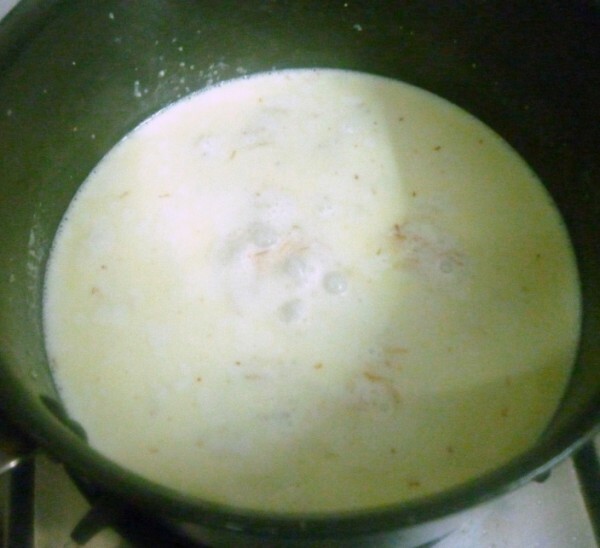 If this gets thicken, add milk microwave and serve. Else you can serve as thick pudding. 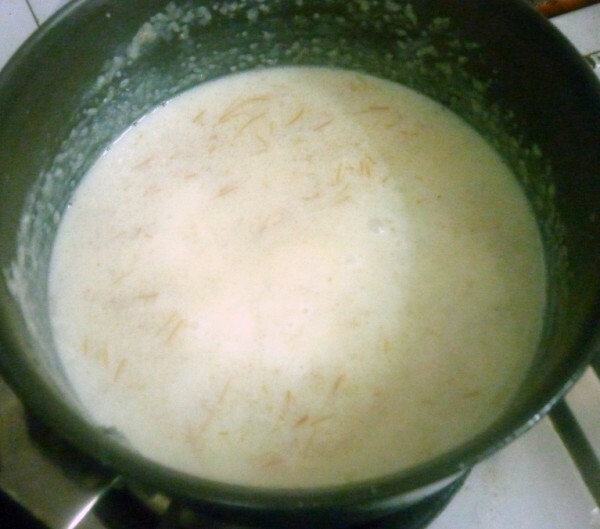 This is a simple sundal with kollu, which is soaked overnight. Pressure cook with enough water. 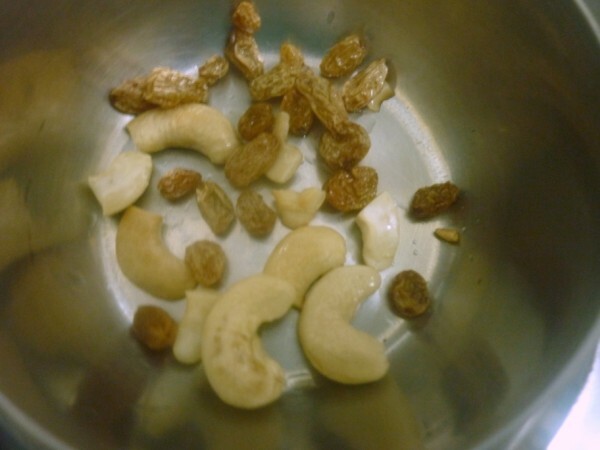 The water drained from the sundal can be made into Ulavala Charu or Horsegram Rasam, which is a very famous Andhra Charu. 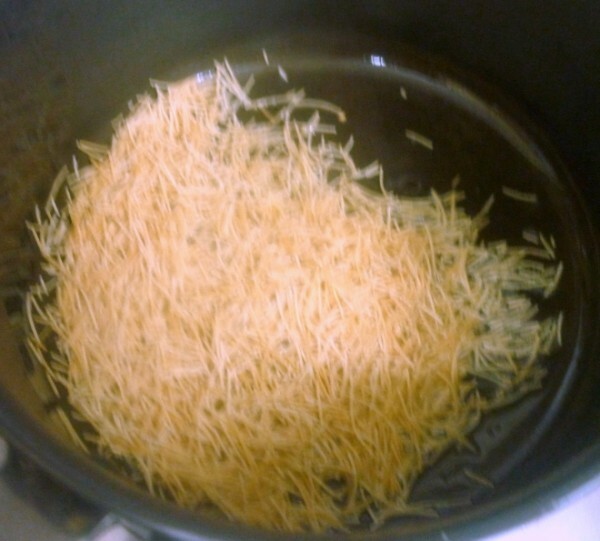 Drained Kollu can be sauteed with regular seasoning and served. 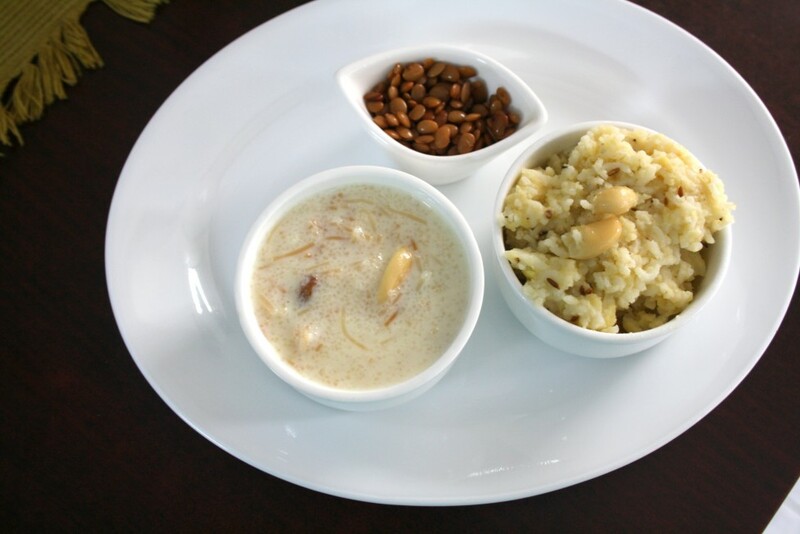 Wonderful spread, both payasam and sundal makes me drool.